Don't stop now. I believe in you! -like all of your auras. none of your creatures have hexproof so playing one of these just allows the opportunity to get 2-for-1'd in modern. 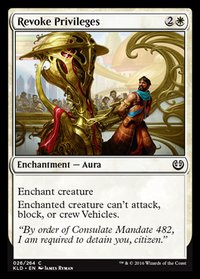 removal is cheap and instant speed, so the likelihood of resolving even 1 of these before turn 6 is pretty unlikely. Cultist's Staff - this is not a good card. strictly worse than Vulshok Morningstar and even that card is not worth playing unless you are doing an equipment build. even still, its probably just outclassed by other stuff. Strength of Arms - youre not using an equipment based build, so this will fall flat as a nearly strictly worse Giant Growth. Sunlance - ive seen worse, but you should consider Path to Exile as a better option. Time to Feed - probably better options for removal. i think Prey Upon would be better. 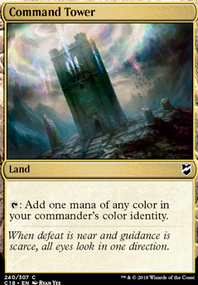 the mana cost in a deck where you only have 20 lands makes it difficult to play this and progress your board in the same turn. you definitely need more creatures, just flat out. 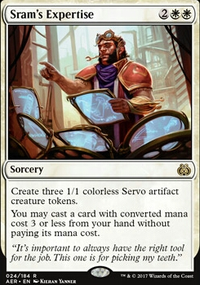 you're not going to be able to voltron up a non-hexproof creature in modern. Week 6 + 7: 1-2, then 2-1. Week 6 had no relevant trades. Cultist's Staff is just not good enough at this point (Costs too much) and Smoldering Werewolf is underperforming; goes to sideboard for token-heavy matchups and the such. Prey Upon is another good removal, and Shrill Howler has been a complete all-star in my games, so the second one is welcome. Sealed (the prerelease format) is generally a slower and grinder format than draft. With draft, you're picking cards from every pack that actively contribute to your game plan. Draft decks tend to be much more powerful and synergistic. Sealed decks tend to be more like "what color(s) is the strongest/has the most impactful cards?" With draft decks you're actively working towards a goal, when with sealed decks you're just working with what you have. 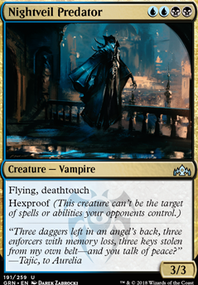 As such, sealed decks tend to have more lower-impact cards that tend to get shaved from a streamlined draft deck (like Cultist's Staff). So, I (think) I have a fair bit of experience in draft, but could use some tips in prereleases of how it differs from draft (in gameplay, not the actual setup and rules, I know all that). 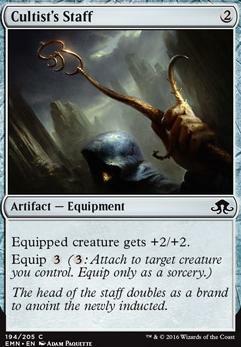 Anyways, I'm mainly interested in the speed of the prerelease vs. draft format and why some cards are supposedly good in prerelease, but not draft (example: Cultist's Staff?). Along these lines, is it easier/recommended to splash in prerelease or draft more, and any other just general tips and tricks. There is just the right amount of everything in this deck, at the moment. Just enough Creatures that the equipment has something to attach to, and most the Creatures have synergy with each other in that they either buff when equipment is around, or they beef up Stoneforge Masterwork. Just enough equipment to ensure that a couple will hit the field per game, and trigger all the Creature abilities. Just enough removal spells to interrupt Opponent plans. I tried moving some things around for Sigarda's Aid by taking out one of each removal spell. To try to get the most of of the Enchantment I put in Cultist's Staff instead of Stormrider Rig. This led to a few problems. I was often holding Sigarda's Aid in hand, when I could really have used a removal spell. While Sigarda's Aid is useful for an Equipment entering the field, it is useless beyond that point. Unlike Stormrider Rig, which you can continually move around. I'm always wary of using cards that rely on circumstances to be effective. That is the case with Sigarda's Aid. It has to hit the deck before an Equipment, and you also have to have a Creature on the field for the Equipment to attach to. You also want the equipment to give as much of a buff to the Creature that it can eg. if you attach True-Faith Censer to Stone Haven Outfitter, and next turn Consul's Lieutenant enters the field, you're going to move the equipment. 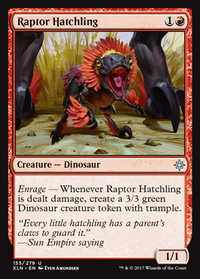 That doesn't sound like a lot, but in this kind of deck keeping the right Creatures around can become tricky, and you want to move equipment as little as possible in the early game, due to the cost. As much as I'd love for Sigarda's Aid to work, in this deck it really doesn't. Now we come to Thalia, Heretic Cathar. 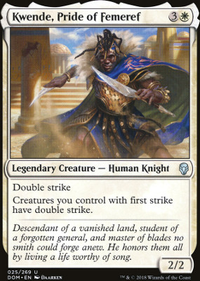 The most obvious Creature to remove from the deck for her is Knight of the White Orchid, which is primarily in the deck due to its First Strike. Its land fetching ability is nice, but not essential. I have enough 2 drop Creatures in the deck that I am able to swap three of them for three 3 drop Thalias. 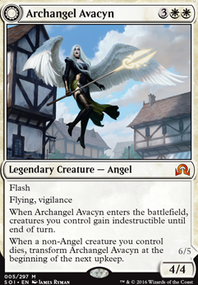 Luckily I cracked three of her at prerelease, so there is no outlay. I was skeptical about how she would work in this deck, but she proved to be amazing. So she is in and Knight of the White Orchid is out. So there you go, saberclaw12. Feel free to make the change if you're playing this deck and have the funds.